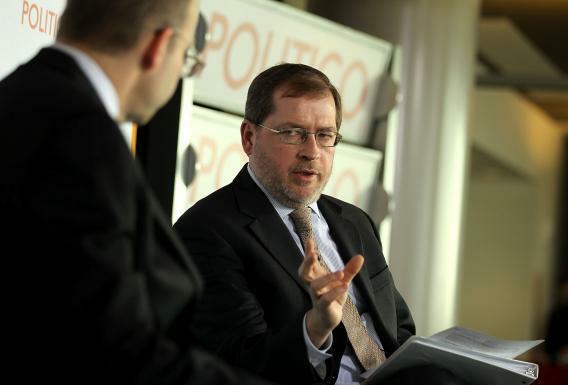 Grover Norquist, president of Americans for Tax Reform, speaks as Politico Chief White House Correspondent Mike Allen looks on during a Politico Playbook Breakfast November 28, 2012 at the Newseum in Washington, DC. My latest story looks at the risks to Republicans if they swallow hard and pass immigration reform with a pathway to citizenship. They don’t lead with this, or brag about it, but they noticed that the rising Hispanic vote is making it harder and harder for them to win national elections. A new common response: That cake is baked, and we need to win those people back.